After an amazing race in 2018, we’re back for the 8th annual TriToFinish Triathlon in Caseville. 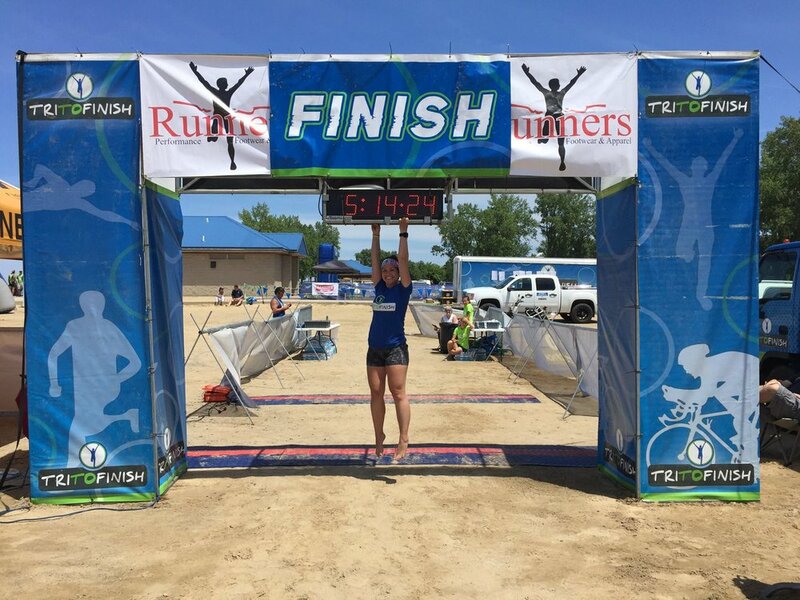 Offering half distance (seventy.three), olympic, sprint, duathlon and relay events for each, Caseville Triathlon is THE premier multisport event in Michigan's thumb area! This year we are dedicating the event to a Thumb athlete who was very familiar to this race. Trever Engler passed away in an accident shortly after making the age group podium at Caseville Triathlon last year. He was a true ambassador to the sport, assisting athletes in transition or encouraging them on the courses and often volunteering his and his family’s time at triathlon and running events. A portion of the proceeds from the 2019 Caseville Triathlon will go to an account set up for the education of Trever’s daughters Alayna and Callie. 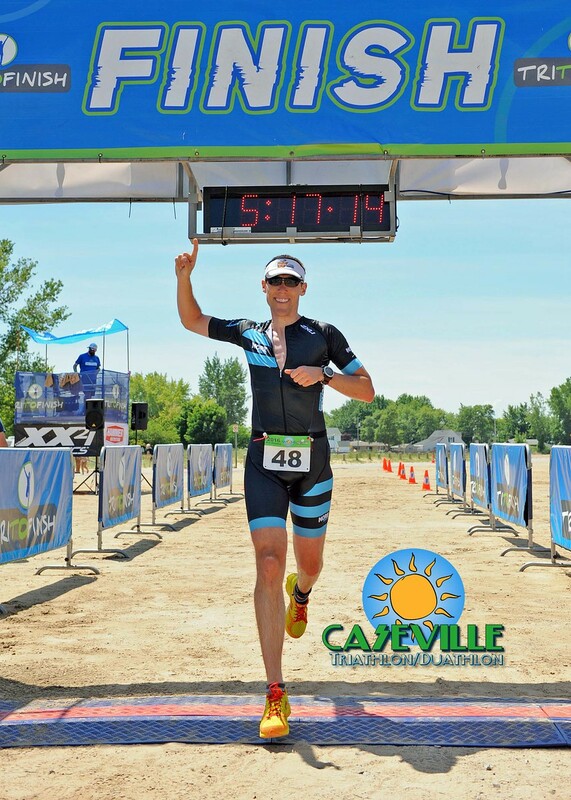 Caseville Triathlon provides athletes with a great opportunity to see more of the untapped thumb region. The swim will take place in the beautiful waters of Lake Huron, while the bike course will trace the waterline out and back. A smooth and flat course should usually makes for an incredibly fast bike split. The run course takes athletes toward the central part of the thumb and is relatively flat and on paved back roads. A great race course at an exceptional price for a half distance triathlon... Put this event on your destination race list, as it is one you won’t want to miss. Caseville, located directly off Lake Huron, is the perfect host town for a multisport event. Nestled amongst Caseville’s summer festivities, the Caseville Triathlon/Duathlon is a fast and beautiful race. The swim will take place in the crystal clear waters of Lake Huron with athletes completing a counter-clockwise rectangular swim (athletes will follow pre-determine buoys based on distance). The bike course is an out and back on wide shoulders of recently paved roads along Lake Huron. You'll enjoy picturesque views the entire way. Half Iron Distance and Olympic athletes will bike 22.53km and 20km (respectively) to the turnaround with Half Iron Athletes turning around just before entering the park and going back out on the course for a second lap. Sprint and Duathlon athletes will bike 10km to their turnaround. The run traverses a road parallel to the bike course. Half Distance athletes will run 2 loops of the Olympic run course. Olympic athletes will run 5km to their turnaround. Sprint and Duathlon athletes will run 2.5km to their turnaround. You must bring a valid ID and will only be allowed to pick up your own packet. As this is a sanctioned USAT event, ALL participants MUST have a valid USAT Membership card and MUST present it at registration (or packet pickup if number wasn’t entered during online registration). Annual and One Day USAT Memberships are available for purchase on-site. As of January 1st, 2016, annual membership is $50 for adults and $10 for youth. A one-day membership is $15 for adults – there is no one-day membership available for youth. More information regarding USAT Membership can be found HERE. Feel free to print, fill out, and sign this linked application/waiver form for USAT Membership and have with you at packet pickup/late registration to expedite the process! Sufficient parking is available at the venue location – Caseville County Park. Please be sure to arrive early enough to find a parking spot, pick up your packet (or register) and get set up in transition. ONLY athletes (and parents for Youth Participants) are allowed in the transition area. Once transition closes, it will remain closed to athletes until the LAST biker has exited transition. The Transition Captain may choose to begin allowing early access to a limited numbers of athletes to retrieve their gear but this will be at his/her discretion. If given access, PLEASE remain respectful of athletes who are still competing and may be entering/exiting transition. Safety is foremost, but security is important too so you must exit transition at the point deemed proper by the Transition Captain and provide proof (i.e., race bib or id) of ownership of bike with number decal affixed. Planning to participate? Awesome! Please review this linked list of USAT Commonly Violated Rules to be prepared. *Event-specific shirts are included with registration but are guaranteed ONLY to those who register online before Noon on Friday, July 5th! Olympic, Sprint and Duathlon participants will receive a short sleeved cotton blend t-shirt, while Half Distance participants will receive a 1/4 zip technical shirt. All registrants after that date/time will be provided with a TriToFinish t-shirt if event-specific shirts are unavailable on site. Ladies cut shirts are offered for this event, but ladies are NOT required to order them. Note that Ladies cut shirts are smaller and more form fitting than the unisex shirts. Please order accordingly. This year, FLAT BILL 5-PANEL TECHNICAL TRUCKER® from BOCO GEAR are being offered in limited quantities for $20 each as an additional purchase during registration. Supplies ARE limited, so be sure to register early and order when signing up! TriToFinish is committed to making this a memorable event for the participants. Every finisher from first to last will enjoy an exciting finish line. All Olympic/Sprint/Duathlon participants will receive a high quality event t-shirt. Half Distance athletes will receive a high quality ¼ zip technical shirt. 1st Place overall Male and Female will receive free entry to next year’s race. 2nd Place overall Male and Female will receive 50% off entry to next year’s race. 3rd Place overall Male and Female will receive 25% off entry to next year’s race. AGE GROUP Awards will be provided 3 deep for the Half Distance, Olympic, Sprint and Sprint Duathlon events. Award presentation for each event will begin ONLY after the last participant in that event crosses the finish line (or once event cutoff time has been reached). Participants MUST be present to receive Age Group Awards*. * We apologize for any inconvenience this presents, but we truly believe that each Multisport Event is exactly that: an EVENT. Age Groupers finish at different times throughout races. It is unfair and unsportsmanlike to begin ceremonies for which a participant may be eligible for an award if that participant has not yet reached the finish line. Please be courteous of and encouraging to fellow athletes. The one exception will be for the Half Distance event. Half Distance overall awards presentation will take place when the Race Director is able once top placers have finished and have been confirmed. Half Distance Age Group winners may collect their awards and request podium photos at their discretion once overall awards have been presented. Download and share your FREE finisher photos from this event by Meaningful Moments Photography! 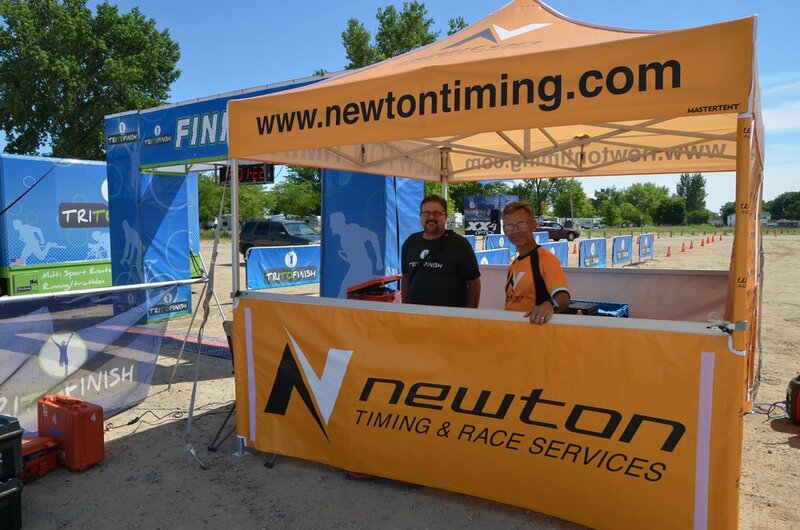 TRITOFINISH is proud to work with Newton Timing and Race Services as our Timing Partner. 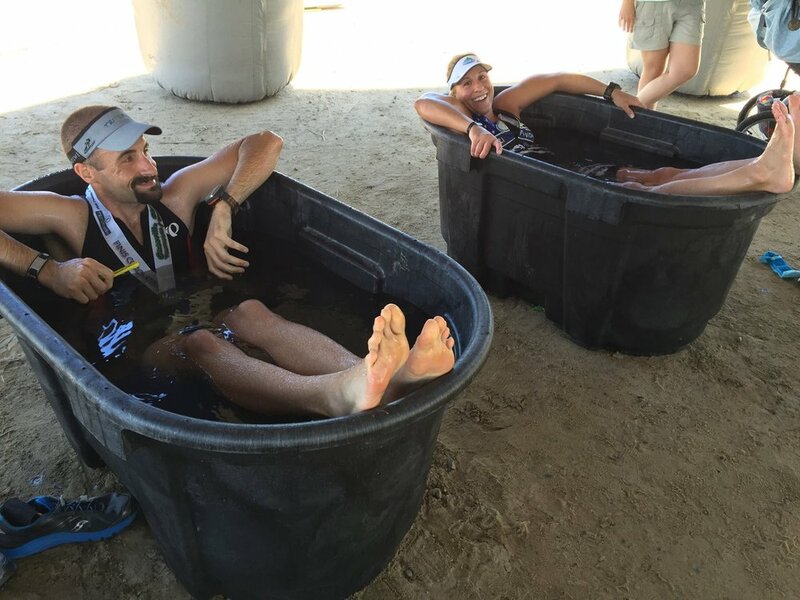 Results will be displayed at the event and will be posted at TRITOFINISH.COMwithin 48 hours of race completion. Opportunities are available for this event! Contact us HERE and we’ll be in touch with ideas on how to make your organization a partner to this event!